We are a Family run business with twenty years experience catering for all aspects of Commercial Property requirements. Our Company provides a friendly, reliable and efficient service and we actively seek to recommend prompt and cost effective solutions for all of our Customers; as versatility is one of our primary strengths, we are able to offer a comprehensive range of services. Although we deal mainly with Commercial Properties, we are now also pleased to offer a rubbish clearance and disposal service for Domestic Properties and Gardens. Attention to detail and Customer satisfaction are paramount; all work is carried out to a high standard by consummate professionals with much of our work coming through personal recommendation. Our Company is fully compliant with all Health and Safety regulations including COSHH legislation, we are registered with the Environment Agency, have a Waste Carriers Licence and full Public Liability Insurance. Our Client base is wide and varied and includes Land Agents, Management Companies, Solicitors and Insolvency Practitioners in addition to Private Property Owners. 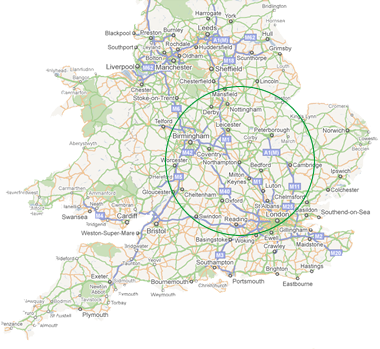 We are centrally located in Northampton and cover a radius of approximately 70 miles.